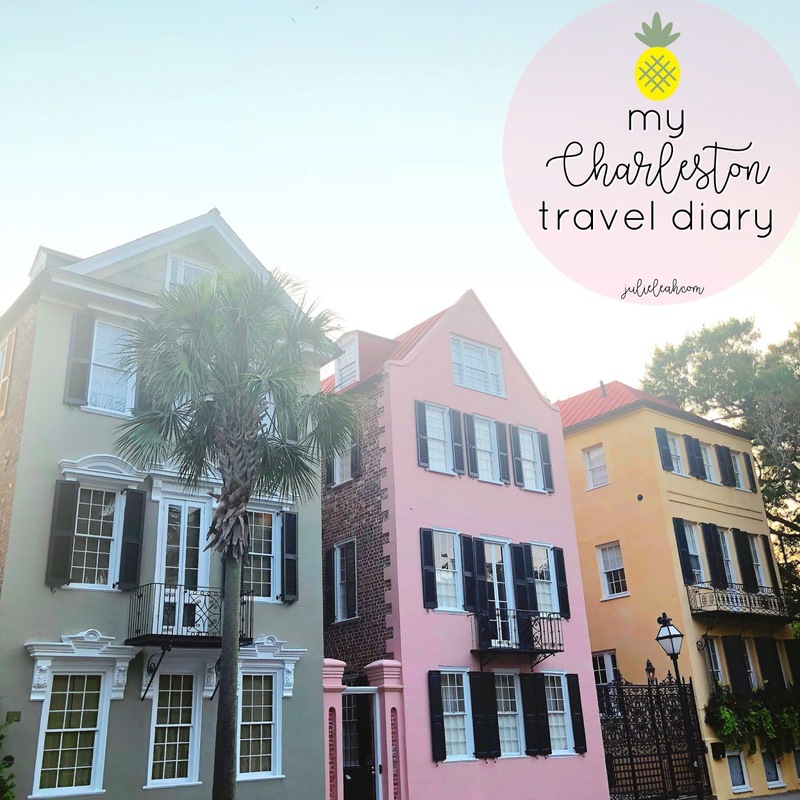 If you follow on instagram then you already know that I was in Charleston for several days last week. Ever since visiting Charleston for the first time a few years ago for a blog conference, I have loved the city. Not just a casual love, but a "I could definitely see myself living there" kind of love. It gives me energy, it refuels me, I feel at peace - there's nothing but positivity radiating when I'm there. On this trip, I also got to experience Folly Beach. For those of you who are familiar with Folly then you completely understand the hype! I have never been to a more adorable beach town in my life. The energy of the people and shops and local restaurants - it's hard not to feel it to your core when you're there. AirBnB really came through with an adorable guest house on James Island which is the perfect central point between downtown and Folly Beach. I've had a different Charleston experience every time I've visited, but this was definitely my favorite. I loved staying downtown and on the Isle of Palms - both were great! But there's something about Folly that felt so comfortable - have you ever gotten that feeling when you've visited somewhere new? Like you could've been going there every summer for your whole life? I love that feeling. 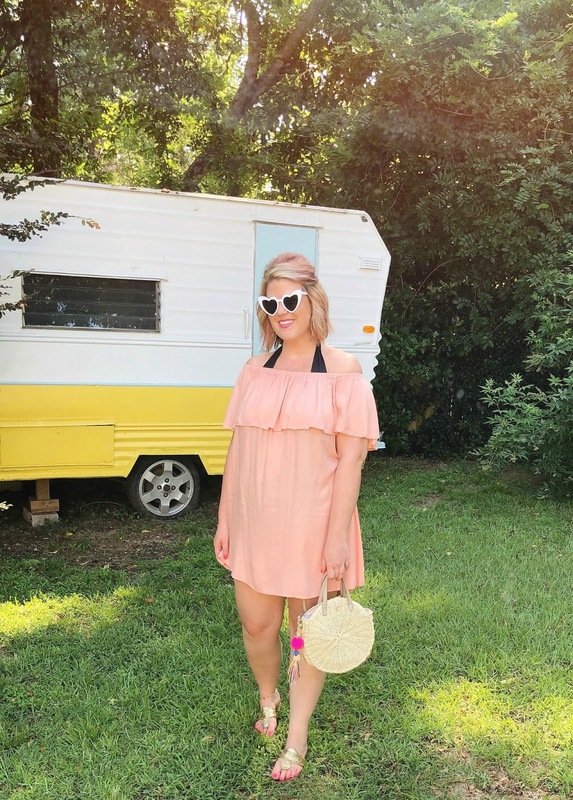 I wanted to share some snapshots, outfits, and a few Charleston/Folly Beach recommendations with y'all in today's post. As far as the photo opportunities, I will seek out all the best places to "do it for the 'gram." But when it comes to shopping and food, I like the places that aren't on every Charleston travel guide. What I find interesting about Charleston when it comes to food - the bar has been set so high that you're going to get a great meal no matter where you go. And a lot of the heavily tourist-visited places are also locals' favorites. For the sixth year in a row, Charleston was named the best U.S. city by readers of Travel + Leisure. If you've been, you completely understand the southern charm and magic. I'm going to do a couple of style posts of my outfits from the trip, but had to include a few photos in this post! A trip to Charleston isn't complete without a visit to Rainbow Row! The window boxes are always overflowing! 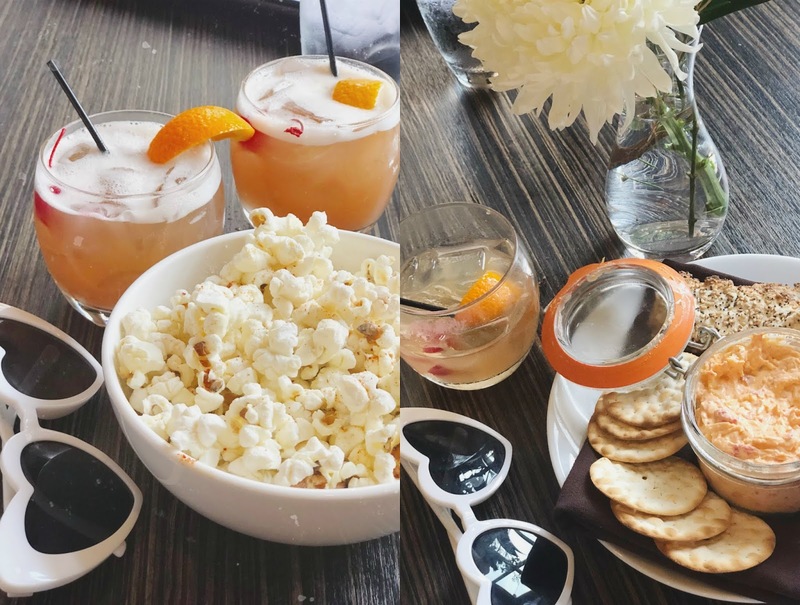 I can't recommend enough popping into The Mills House for their truffle popcorn, pimento cheese, and a cocktail. It's the perfect break from the Charleston heat and super delicious! Sit next to the windows so you can view the courtyard. Outside The Mills House - another iconic spot for a photo op! Breakfast at Lost Dog Cafe on Folly is a must! I got the huevos rancheros with fruit one morning and a breakfast bagel and cinnamon roll the last morning there. I can't tell y'all how many comments I got about these sunglasses - people stopped me on the street. I got them from Fashion Nova, they come in a few colors, and they're only $10. Candy Shop Vintage was a must-visit for me on this trip! This is the most charming shop right off King Street on Cannon. I can't wait to show y'all what I bought! If I'm being honest, King Street isn't my favorite for shopping. 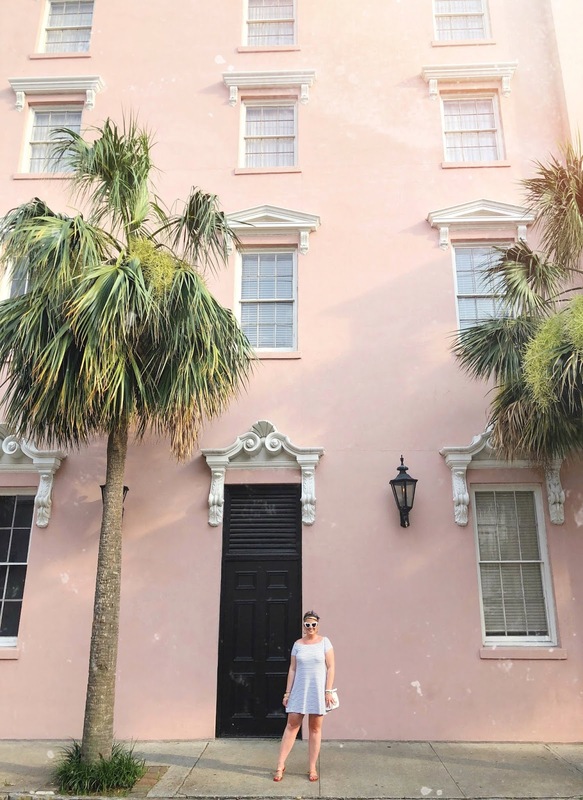 It's a must if it's your first visit to Charleston, but there are so many other local shops to explore that aren't on King Street. 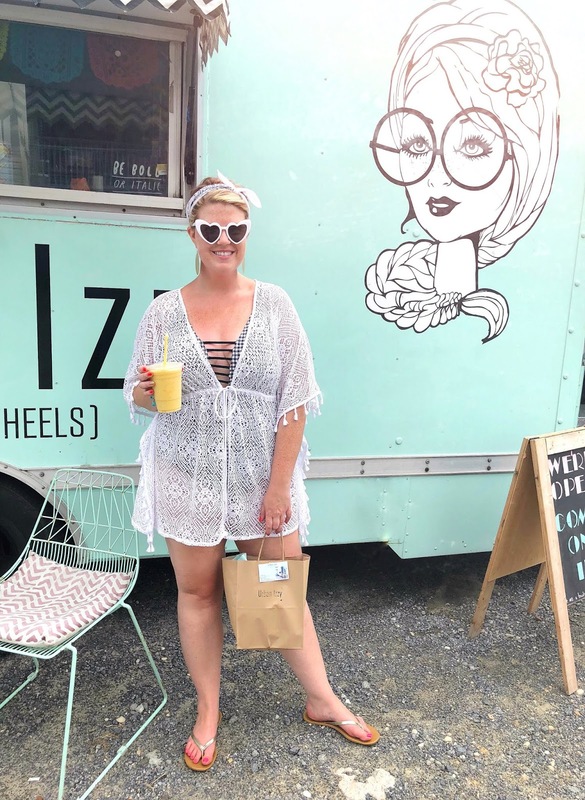 I love a mobile boutique and Urban Izzy on Folly is a total gem! She's set up across from the Pier, behind Rita's. While you're there, walk to the Juice Joint and get a fresh fruit smoothie! Rita's is right in the heart of Folly Beach so you can't miss it. Their breakfast is delicious - I recommend the blueberry pancakes! The Skinny Dip is definitely a spot on King Street you'll want to check out. The price point is a little high, but the atmosphere of this shop/wine & coffee bar is fantastic. Once you've browsed the shop, head upstairs and enjoy a glass of frose inside or on their rooftop patio! And you'll definitely want to snap a photo of the Rainbow Row mural! The Folly Beach Pier is the perfect spot for photo ops and watching the sunrise. To anyone visiting Charleston, put The Obstinate Daughter (on Sullivan's Island) on your dinner list and then visit Beard Cat's Sweet Shop downstairs after dinner for gelato! You will not be disappointed! There is something charming on every corner and in nearly every shop in Charleston! This "angel wings" mural by artist Colette Miller is at Ice and Pan on King Street. Our AirBnB host was currently in the process of renovating this adorable camper. Their plan is to rent it out on AirBnB for "glamping!" Isn't that just the cutest thing?! The sunrise from the Folly Beach Pier is breathtaking. With every passing minute the colors and intensity changed. Definitely sacrifice sleep at least one morning for this! I hope y'all enjoyed this post! I'm going to have a couple more Charleston-related posts for y'all - mostly featuring a few outfits that I wore. I also want to do a round-up of Charleston bloggers/influencers/shops to follow. Make sure to pop over to instagram and view the "Charleston" highlight I have saved!